Individual Giving | Simon Family JCC | Fitness. Family. Fun. For Everyone! The Simon Family JCC offers programming and activities that speak to our core priorities: Community Engagement, Cultural Enrichment, Family, and Health & Wellness. Be A Reader Literacy Program: focuses on working with at-risk children in Tidewater public schools to acquire the reading skills and the love of learning that lead to personal happiness and success. Kids’ Connection: provides a safe, fun, and educational experience that complements Virginia Beach Public Schools’ curriculum for children Pre-K through 6th grade helping your student grow, learn, and succeed in class. 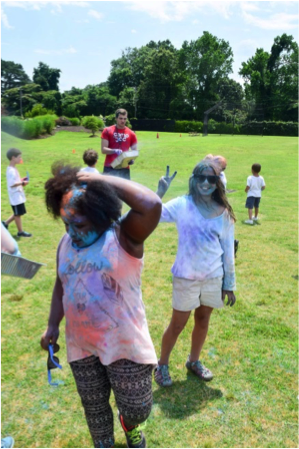 JCC Camp: offers children a rich and unique day camp experience, which allows your child to explore their own interests, develop leadership skills, and form meaningful relationships. Silver Sneakers: focuses on improving strength, flexibility, posture, and balance to remain heart-healthy. Your gracious gift enables the JCC to help strengthen our Hampton Roads community with bold, fun, and engaging initiatives for everyone. Donors also receive special recognition and benefits depending on level. We thank our generous donors, who allow us to further the core pillars of the Simon Family JCC.